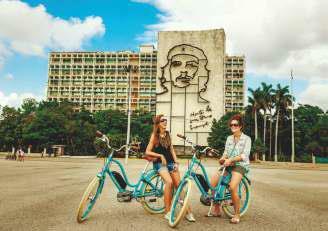 Viajes Cubanacan offers a 12-night and 13-day tour by electric bicycles that will allow you to live exciting experiences, to know interesting places and meet the cubans’ everyday life. Ride the electric bicycle and travel surrounded by an impressive nature through almost deserted roads that cross traditional villages and border the Caribbean coast. The tour will take you from Havana to Las Terrazas Ecological Reserve and Viñales’ tobacco plantations. Then you will tour Cochinos bay, Cienfuegos and the colonial Trinidad. The tour will end at Cayo Santa Maria where you may enjoy a beach of dreams.